Another World consists of different geometric forms piled up into the height. The forms are all different, stars, spheres, spirals, cubes, bows and grids. There no sky, the enviroment is black and dark and all forms are artificially illuminated in different and constantly changing colours. No viewing angle, no colour composition can be easily reproduced. Everyone sees another world different, as a personal expierence. There are 3 ways to explore Another World. You can take a little spaceship, a flying sofa which will lift you up to the top of Another World and back down. This roundtrip takes about 15 minutes. During the flight up and down you can relax, enjoy the lights, the different impressions, you fly peacefully through space, time, lights and forms. You get views from inside of the geometric forms as well as from outside. The second way exploring is taking one of the seven doors next to where you land. Each door teleports you to another part of Another World from where you can walk or fly around and enjoy the view. And the third way to explore it is to simply fly. I was very impressed by Another World. Of course I took tons of pictures, so what I selected for this entry is just a small excerpt, a teaser. It is another way to relax. I visited already many lovely sims, where you just relax by admiring the (virtual) nature. Another World is also very relaxing and peaceful. In particular the flying sofa tour provides great impressions that you can simply enjoy without being activ. 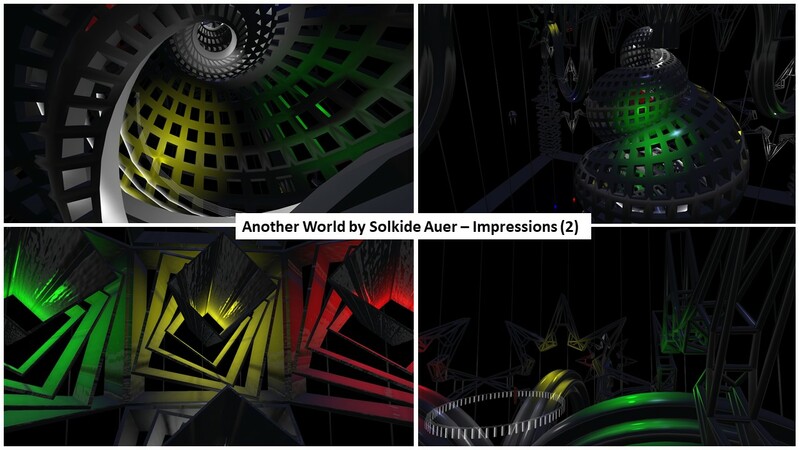 Thank you Solkide for your artful installation. I enjoyed it a lot. 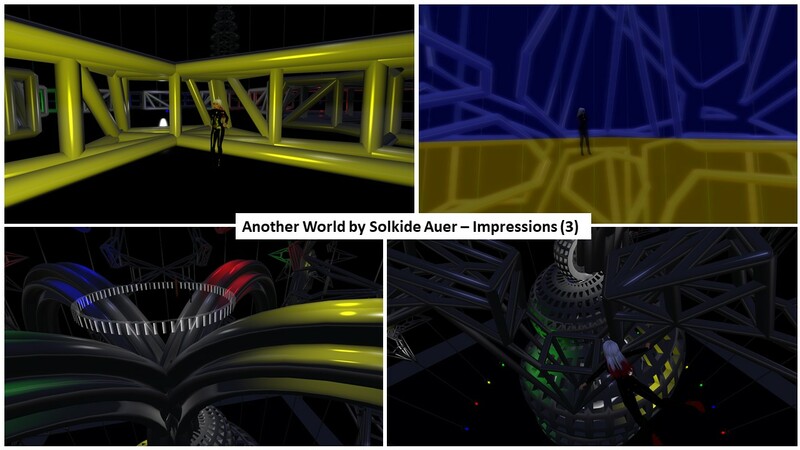 If you want to see more of Solikide visit his blog Solkide Auer, where you can learn more about him and his art. 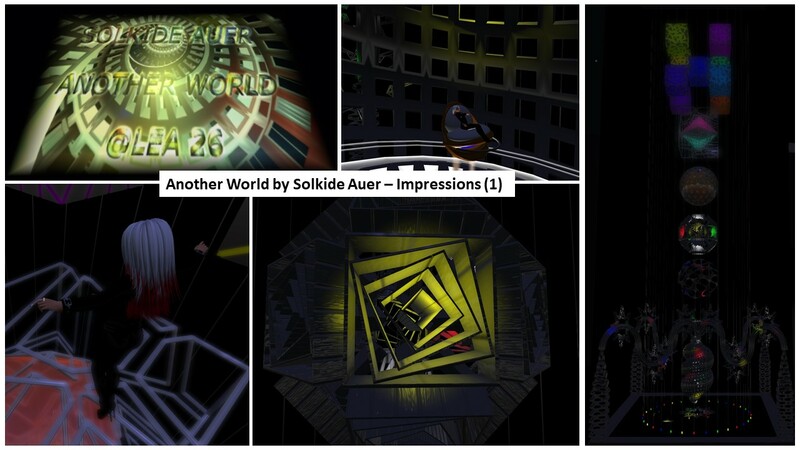 There are also some videos (taken within Second Life) to watch in this blog.